An interesting prefab design house design layout and an interesting location. 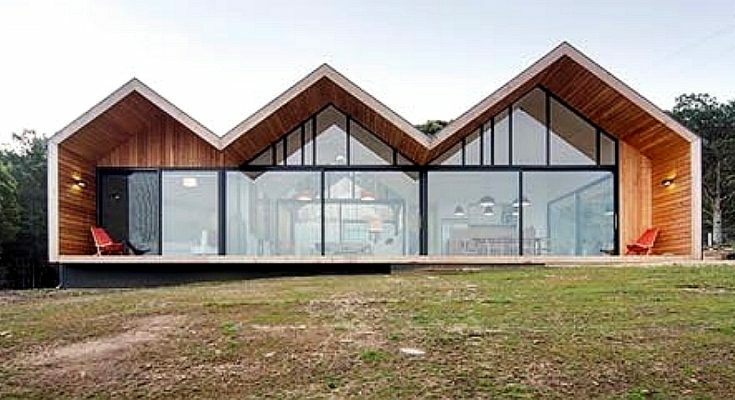 It’s a prefab home designed by Room 11 and it’s situated on the island of Tasmania, which is south of the southeastern corner of Australia. The prefab house design is influenced by the typology of the land around it. It’s set on a farm, and the angles and glass cut by strips of black metal keep the eye attentive. Visitors enter through a covered doorway through the backyard and just after they experience the breadth of the main space with large windows and breathtaking view. Photos by Ben Hosking. 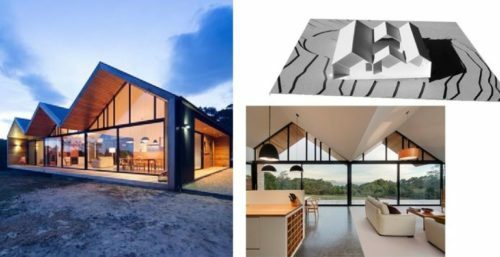 To see more work by the prefab house design team Room 11, find them in the Building Homes and Living directory.